VMworld 2014 – Marvin, I want to meet you! What does this mean for VCE? – Brian Suhr had an interesting “War of the Roses” post. What does it look like? 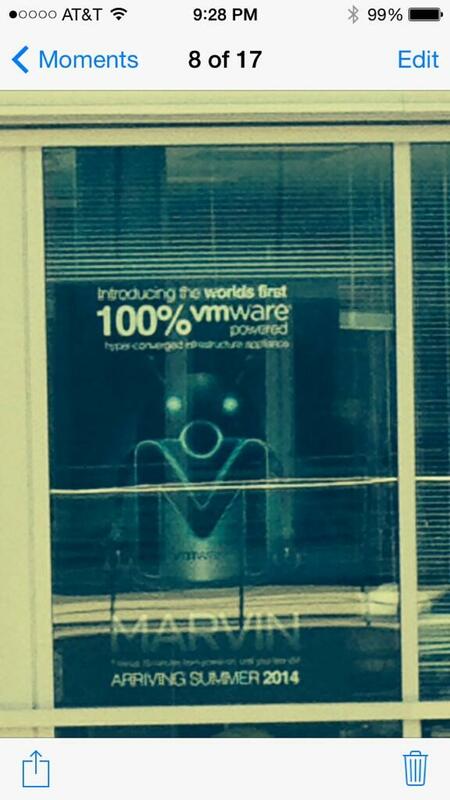 How has it been “VMware” branded? Hyper-converged VSAN only (JBOD), or can I use shared storage (FC, FCoE, iSCSI, NAS) as well? Rack mount and Blade servers? Who did they partner with (EMC?) or did they do it all themselves? Sizing maximums – CPU, RAM, Storage, Network? How does it integrate into the current vCloud Management Suite? Policy-based compute (similar to Cisco UCS)? How will VMware GSS and PSO adapt to support VMCI? Will they leverage EMC’s supply chain to provide hardware support? What edge does VMCI have over the rest of the market (HP, IBM, Fujitsu, Cisco, Nutanix, Dell, SimPlivity, etc.)? Here is my recent post on “The Evolution of Storage – What is your strategy”, which ties in nicely.